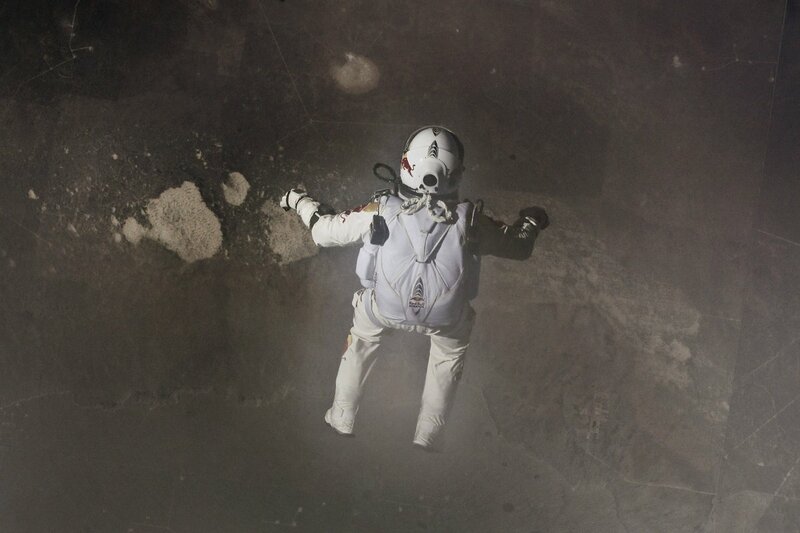 One small jump for Red Bull, one giant leap for business marketing: Red Bull Stratos may be the most successful marketing campaign of all time. More than 8 million people worldwide watched YouTube's live stream on Sunday as Felix Baumgartner became the first person to break the sound barrier, starting in a freefall 128,000 feet above the Earth that reached a high speed of 833.9 miles per hour. Meanwhile, Red Bull broke the traditional barriers of marketing, sponsorship and social media, skyrocketing from an energy drink known for providing a quick buzz to a big-time generator of international buzz that makes the endeavors of other marketing innovators like Apple look small by comparison. The beauty of Red Bull Stratos is that it's not just a sensational stunt, but a business move that could translate into estimated sales of tens of millions of dollars, according to Ben Sturner, founder and CEO of Leverage Agency, a New York City-based sports, entertainment and media marketing company. While a Red Bull spokesperson said the company doesn't release financials or marketing information, Sturner told The Huffington Post, "I wouldn't be surprised if they have a record month of sales. It was the lead story in newscasts, not just sportscasts, and they couldn't have the story without mentioning Red Bull. And with the buzz afterward and the engagement online, some of the top people on Twitter with millions of followers spreading the word about Red Bull -- that's [value] that can't be quantified." The mass exposure, said Sturner, could translate to a change in customer behavior, "from buying a Rockstar or Monster to buying a Red Bull. At the end of the day, this brings in new customers, which brings in new money." The Austria-based company, founded by Dietrich Mateschitz in 1984, sold more than 4.6 billion cans of Red Bull worldwide in 2011. According to ABC News, besides YouTube, the jump was shown by more than 40 TV stations and 130 digital outlets. Red Bull's Facebook post-jump photo of Baumgartner gained almost 216,000 likes, 10,000 comments and over 29,000 shares within 40 minutes, and half the worldwide trending topics on Twitter were related to Red Bull Stratos. Sturner said the power of this marketing event lies in the synergy between the extreme event and the company's existing marketing message. The jump "hits the brand message spot on, which is that Red Bull gives you wings," he said. It also helped that brand placement was ubiquitous. "You can't get a photo of Felix without the Red Bull logo and you can't talk about him without talking about Red Bull Stratos," Sturner said. By creating an event that was so singular and creative, Red Bull tapped the potential to bypass the other gold standards of traditional marketing dominated by large corporations. "When you're in the Super Bowl, you're one of 70 ads or so. When you go around the NASCAR track, you're one of 44 teams," Sturner said. "This is about owning something that will leave an impression." The project, which Baumgartner has been working on since 2005 with Red Bull on board as a sponsor, isn't the first time Red Bull has pushed the limits of marketing. The company is known for its buzz-oriented marketing geared toward youth, including extreme sports events such as the Red Bull Air Race, sports team ownerships including international Red Bull soccer teams and a Red Bull Records label. But by nailing this attempt to redefine extreme, Red Bull Stratos gives small business marketers "something to consider," Sturner said. "How do you cut through the clutter and do something unique? See your brand as a story. Go big, take risks. Your brand could be on the front page of global media if you do something unusual." In fact, Sturner thinks any small business could benefit by injecting more of the Red Bull mindset into its marketing. "Every brand has an attribute that could potentially be larger than life," he said. "You need something that will transcend. In this day and age, it's about engagement and amplification of the message, and Red Bull accomplished that in both ways."